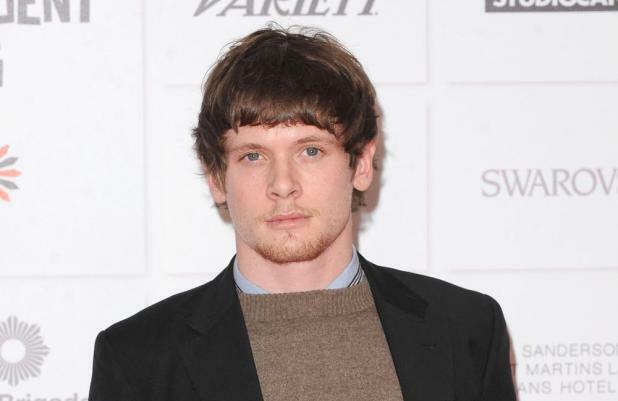 Angelina Jolie has cast Jack O'Connell in 'Unbroken'. The up-and-coming British actor - who is best known for playing James Cook in teen drama 'Skins' - has landed the lead role in the actress-and-director's forthcoming World War II epic, beating stiff competition from several young Hollywood stars for the prized part. O'Connell will play Louis Zamperini, a former Olympian and World War II bombardier who overcame great obstacles when his Air Force plane crashed in the Pacific Ocean and he was taken as a prisoner of war by the Japanese army. The movie is based on Laura Hillenbrand's best-selling 2010 biography of the same name, which documented Zamperini's life from high school track star to Olympic contestant, as well as his harrowing ordeal during the war in 1943. The wartime hero survived without food and water for 47 days following a plane crash and fended off attacks from sharks. He was eventually kept hostage by the Japanese troops for two years, during which he was tortured, until the end of the war in 1945. Joel and Ethan Coen penned the latest version of the script based on Hillenbrand's book and Jolie was tapped by movie studio Universal to helm the film in December 2012. 'Unbroken' will mark her first project since announcing she had a preventative double mastectomy procedure earlier this year after being diagnosed with an 87 per cent chance of developing breast cancer and a 50 per cent risk of ovarian cancer. Meanwhile, Universal has confirmed the film's release date for Christmas Day 2014 (25.12.14), placing it in contention for the Academy Awards.